From trendy to timeless, engagement ring styles– like all styles– have evolved over time. And that isn’t stopping anytime soon! So sit back, relax and take a walk down memory lane as we spotlight each decade’s trends. You may be surprised at what you learn. 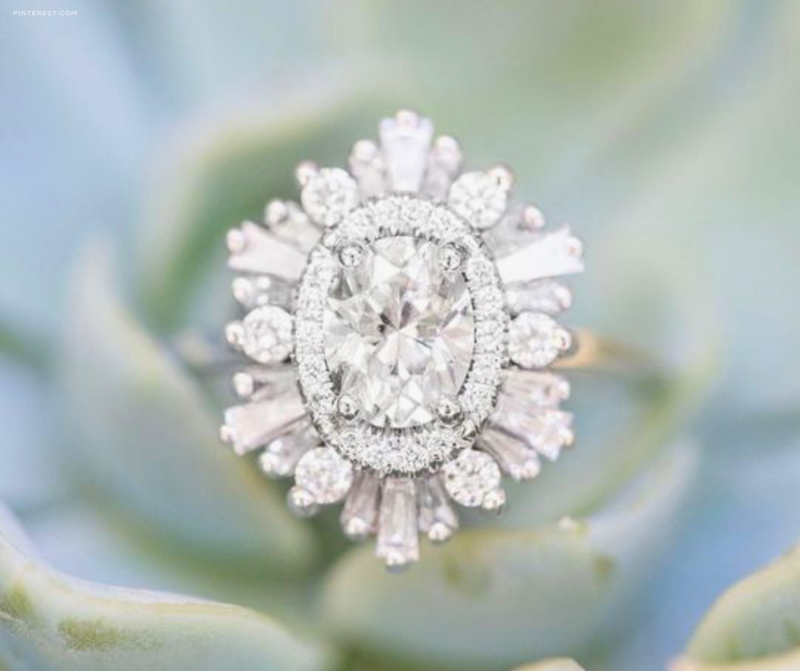 The 1950s spear-headed two, distinct engagement ring trends that still hold their own in today’s age. The first, is a diamond ring itself. Believe it or not, the idea of giving your special someone a sparkling stunner the size of your love was not common practice until diamond manufacturer, De Beers, began his, “Diamonds are forever,” marketing strategy in the late 40s. Less showy but no less sparkling, American actor, Mel Ferrer, kicked off the trend of stackable rings when he proposed to Audrey Hepburn with an iconic trio. Since the star was notoriously style-conscious, he designed each ring to be a different metal so that she could match her ring with her outfit. Although Hepburn was reported to never, ever wear the rings stacked, modern trends implement this classic look with a twist. Although princess, radiant and emerald cuts were rumored to have been invented in the 60s, they were perfected by the 1970s, and the amount of fiancées dawning these dazzlers is proof. 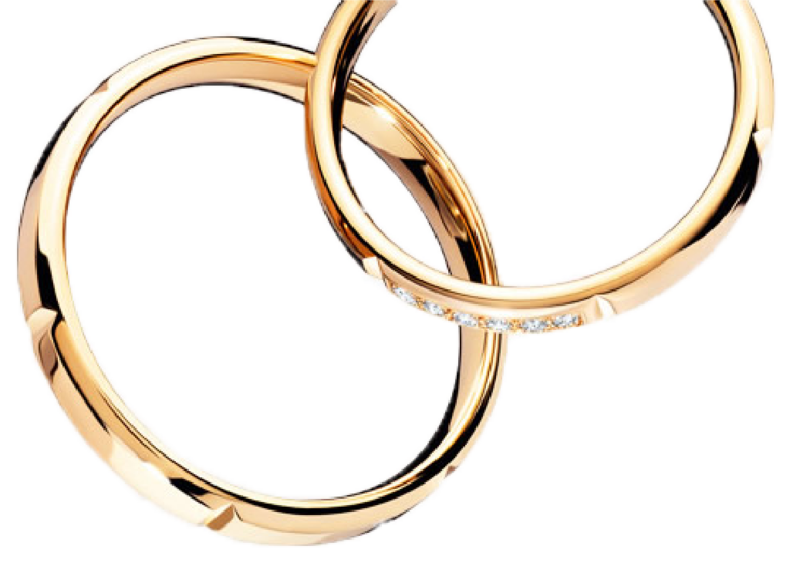 Square, geometric diamonds in yellow or rose gold became more popular than ever during this era, and brides began to coordinate their wedding bands to match. Following in the footsteps of fashion’s bold colors and busy prints, elaborate diamond cuts such as pears, emeralds and cushions continued to gain popularity in the 80s. And while we’re on the topic of popular styles, we’d be remiss to leave out the most iconic ring of the decade (and maybe century)– Princess Diana’s. Not only did her sapphire engagement ring popularize the use of colored gemstones in rings again, but it also caused jewelers from around the world to create replicas. Stepping away from the statement-making styles of the previous decade, left hands in the 1990s were adorned by less intricate, but more brilliant styles. White gold and platinum metals made a strong comeback, ushering in a resurgence of simple bands with solitaire, elaborate diamonds taking center stage. In the new millennium, engagement rings took a turn for the traditional, and we have the internet to thank for it. From pavé bands and halo settings to three-stone rings with a show-stopping diamond, the 2000s mixed and matched styles from previous decades, by adding in unique takes on metals such as platinum, white gold and rose gold. In the past few years, there has been a trend of juxtapositional engagement rings– large diamonds à la Kate Middleton (and previously Princess Di), with skinny bands to give the illusion that the diamond is even more grand. From decade to decade and style to style, one thing always remains the same– Cecil’s Fine Jewelry is your jewelry team for life.